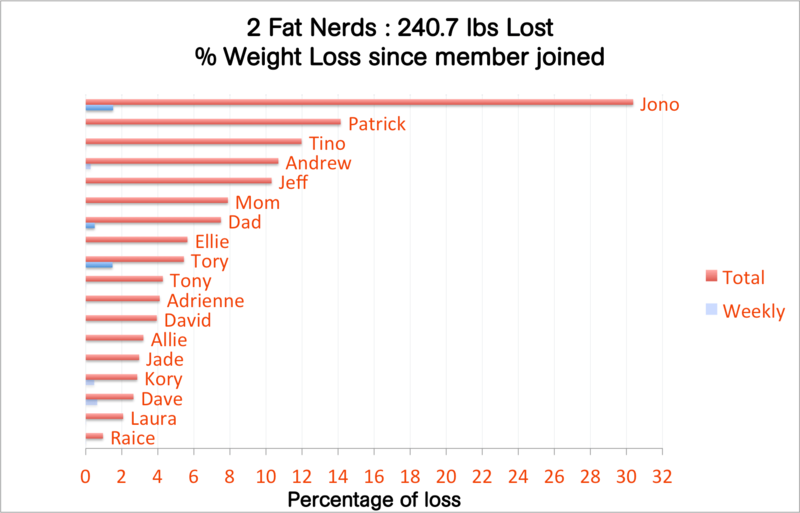 2 Fat Nerds - Weigh-In Wednesday December 18th: Git Your Holiday On! Weigh-In Wednesday December 18th: Git Your Holiday On! Home/Weigh-in Wednesday/Weigh-In Wednesday December 18th: Git Your Holiday On! I am shocked she pulled through this weekend of festivities ahead of the game. Whew! Apparently Tino is back with a vengeance! I’ve finally got my act together and figured out how to pull this information from the database. 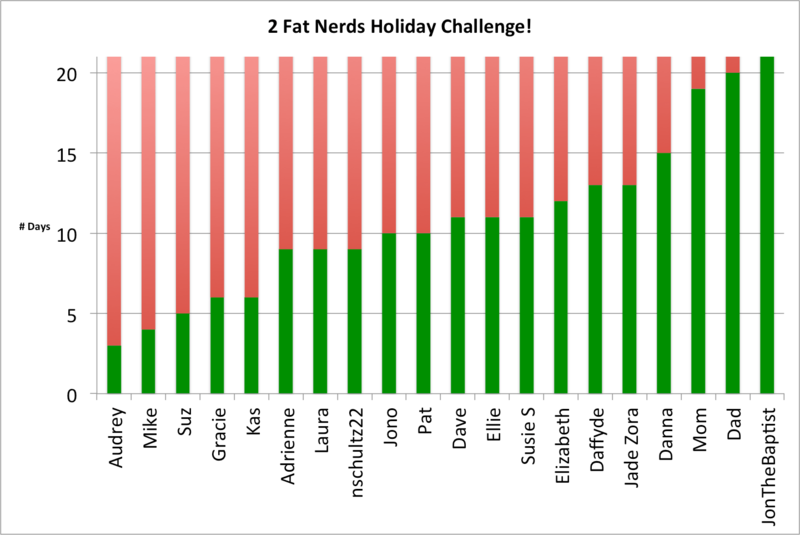 So, here are the results for the Holiday Challenge so far! JonTheBaptist! Blowin’ up that holiday challenge!!! I love this tracking system! 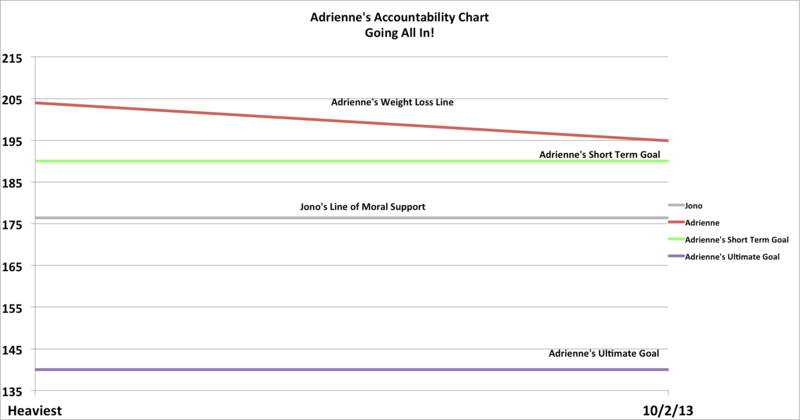 Can you please add me to the weight loss graph? Thanks! Absolutely! I was actually thinking of emailing you this morning when putting it together to see if you wanted to join in! Keep up the awesome work! 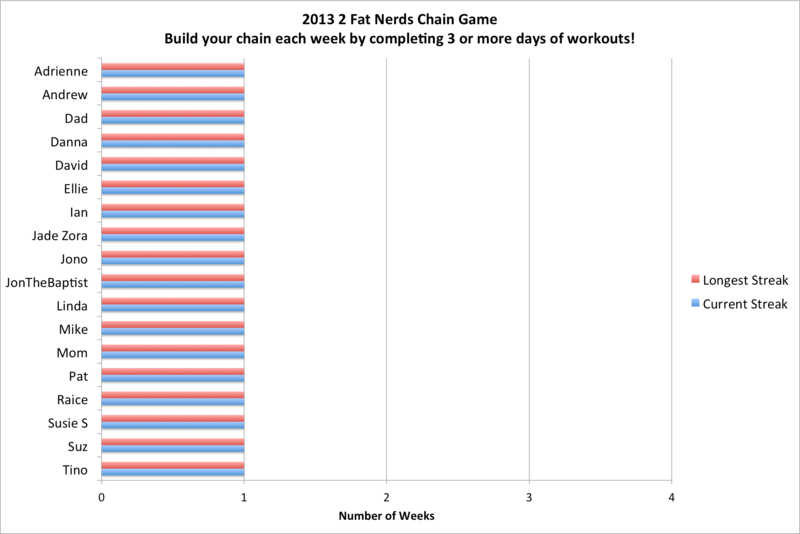 Rough week, gained weight and snapped my 25+ week chain. I’ll take it in stride, still time to put up some numbers in these last two frames before the slate gets wiped on January 1st! Thanks, Jon! 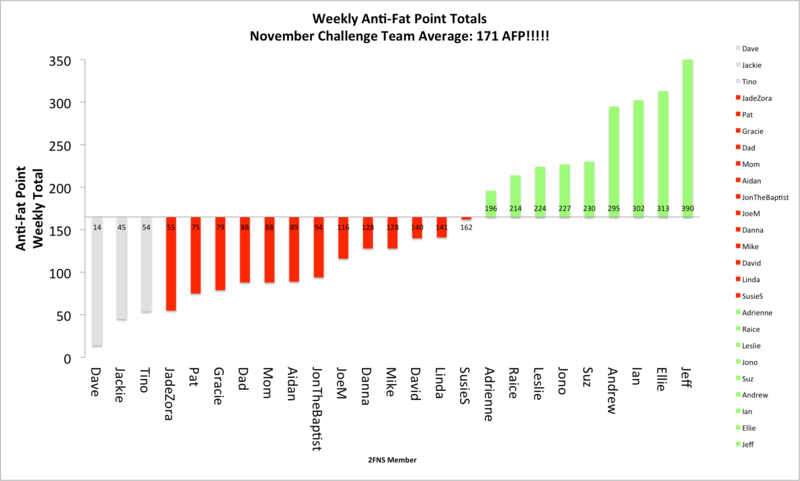 I struggle to get to 100 AFP most weeks, so this was super exciting!